Metallic fake flowers in glass jar, £7.99. I'm a sucker for fake flowers - especially because they make such a good blog prop - so I just had to snap up these metallic coloured flowers that come in a gorgeous, glass jar decorated in a festive, fairisle print. It's currently taking centre piece on a unit in my living room and I absolutely love how eye-catching the metallic shade is! Snowflake print glass tealight holders, £2.99 each. I always like to have candles lit, dotted all over the flat, so these glass tealight holders were a must have. 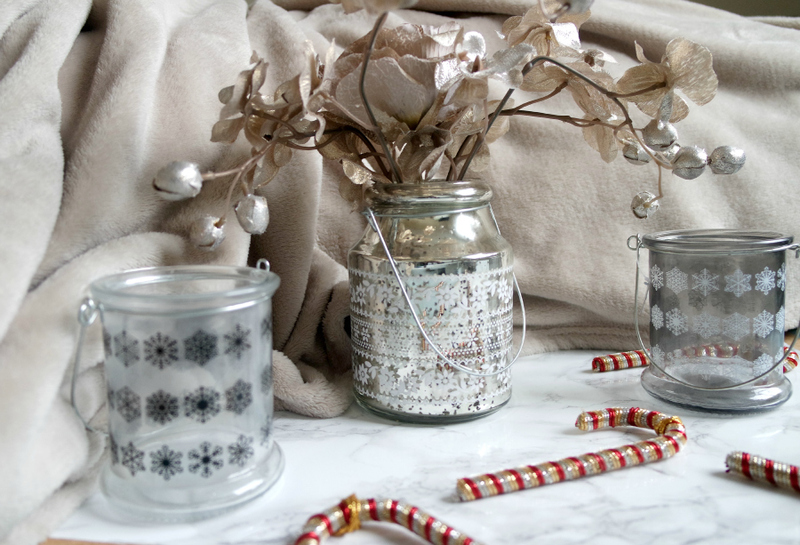 I picked up two jars, both of which are decorated with snowflakes - perfect for giving a frosty, wintery vibe. Red, gold and silver Candycane ornaments, £4.99 for 4. I also picked up some red, gold and silver, glittery candy cane ornaments which - like the fake flowers - are a seriously good blog prop! I'm yet to decide whether to put them on my tree or to hang them around the flat but, wherever they go, they'll definitely add a bright, Chrismassy feel to my home. Psst... make sure you check out my Homesense stationery haul too if you're a fellow stationery lover. 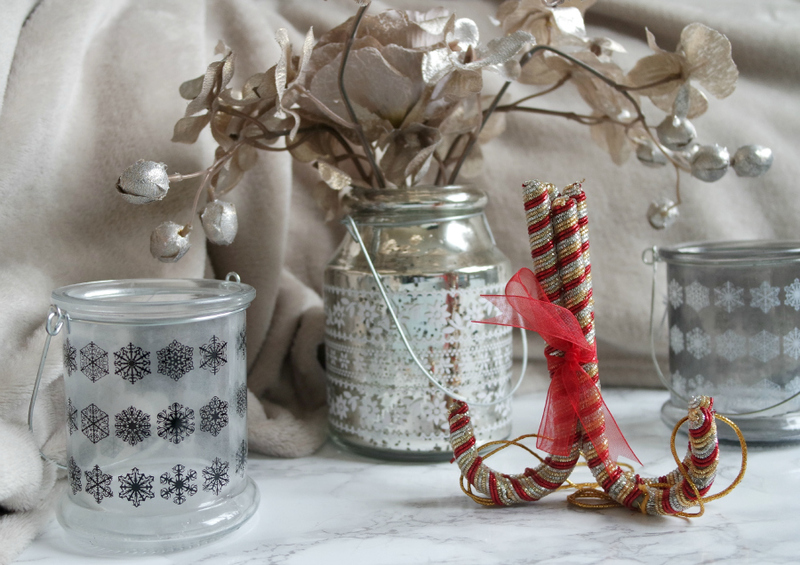 Do you like my festive homeware picks?